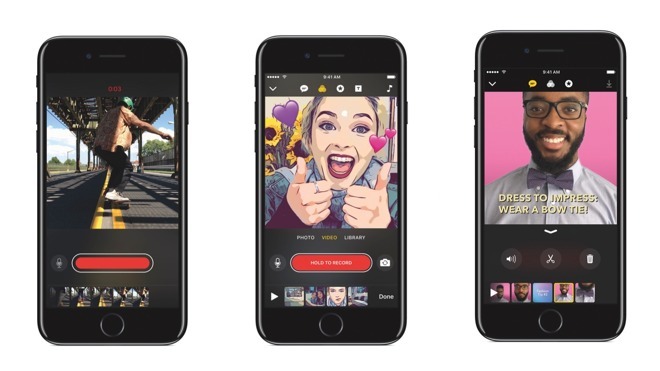 Apple has showcased Clips, a new video app which will let the users to create videos of short duration by adding music, filters and photos. It takes cues from Prisma, Instagram, and Snapchat and allows you to develop creative videos which can be shared with your friends from the popular social networking apps or messaging apps. Clip also allows the users to make animated captions and titles by using just their voice and this feature is called ‘Live Titles’. Besides this, features such as full-screen animated posters, shapes, speech bubbles and filters are also available in the app. You will also be able to create multi-clip videos on iPad or iPhone without timelines, tracks or complicated editing tools. All you will have to do is touch and hold the single button to shoot live photos and videos. Once your video is ready, you will be able to add emoji, shapes, speech bubbles or artistic filters. The best feature is of course the Live Titles feature which supports nearly 36 languages. Using this feature, the users will be able to create animated captions and titles using just their voice. As the users speak, the titles and captions are generated automatically and it works with better accuracy. The clips app is not available as of now for the Apple users, but will be available very soon in April for those users who are running iOS 10.3 or later on their devices.